2017/2018 Men's Big Mountain Ski Buyers' Guide. For a genre comprised of models that for most skiers will be a second (or third) pair of skis, the Big Mountain Category attracts a ton of cutting-edge technology. That’s partly because, with few exceptions, Big Mountain skis are even more expensive than All-Mountain Back models—they have to be as good as they can be or risk losing out to a better built alternative. It’s also because Big Mountain skis are usually acquired by experienced skiers who have an expectation of quality and associated performance that can’t be met by halfway measures. Skiers in the market for a powder ski tend to think bigger is better—that if a little flotation is good, massive flotation must be better. It’s true that there’s no substitute for surface area, but flotation isn’t the only quality required for off-trail conditions. Some aptitude for moving quickly edge to edge is useful in moguls, which inevitably develop where snowcats fear to tread. Edging accuracy comes in handy on steep traverses, and short-radius turns are required in pucker-tight couloirs. Point being, the slightly narrower chassis of Big Mountain skis probably make for a better powder ski option for most skiers than the super-wide models that qualify for the Powder club by being next to useless anywhere else. Every Big Mountain ski pries the tip and tail off the snow to some degree because there’s no better way to motor through crud—powder’s wicked stepbrother—than with a tip that won’t catch and a tail that won’t hang up. Some Big Mountain skis are cambered underfoot, some aren’t. The biggest behavioral chasm in the category is the separation of models that can be trusted to hold just a ribbon of edge on hard snow and those skis that do their best work in the worst conditions, drifting over rubble like it was made from ice cream. As a rule, freeriders disregard rules, so our advice not to adopt a Big Mountain model as your everyday ski will go unheeded. Unless you’re a strong skier who virtually lives off piste on a big mountain, your everyday ride should be narrower. The well-served Big Mountain market offers an abundance of choices split into two camps: Power models for skilled skiers who don’t need any help getting down the hill and Finesse models for advanced skiers who aren’t likely to charge a crud field like it was a company credit card. 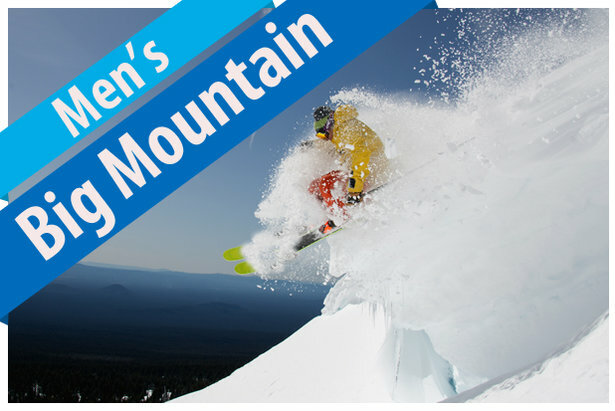 The Big Mountain ski reviews are provided by our equipment experts at Realskiers.com, powered by Masterfit. Are you a Power skier searching for the perfect carve? 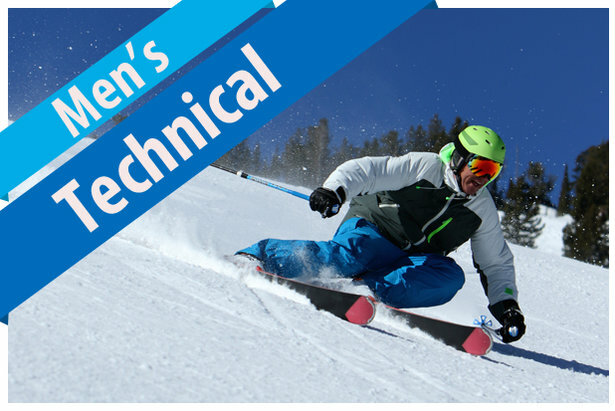 Look no further than these reviews for the 17/18 crop of men's Technical skis.